pentagon' is pentagon rotated around point O. a. Use the slider and change the angle of rotation until pentagon' and pentagon are in the same position. b. 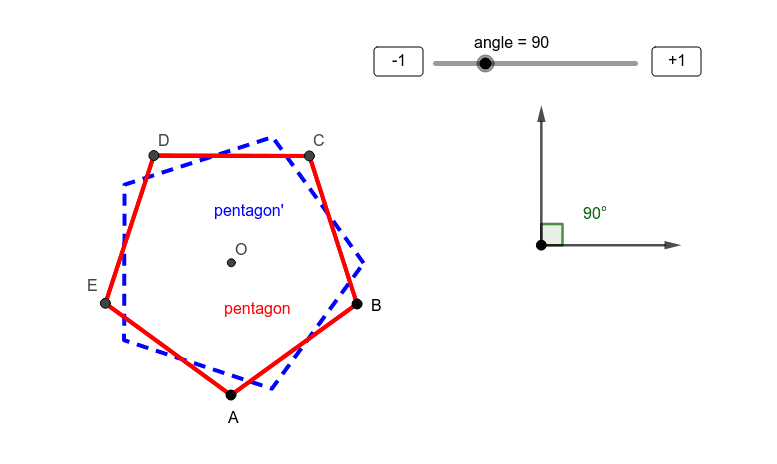 What angles of rotation result in pentagon' being in the exact same location as pentagon? Hint: you can use the -1 and the +1 buttons to more precisely control the angles.